Jews say God threw a rock into the void and by the circular ripples emanating from this contact created the world. That rock, the Foundation Stone, still lies at the center of the world. From it, underground, extend hidden channels that carry heavenly plenty to the ends of the earth, giving life to the world. It is to this rock that God led Abraham to bind his son Isaac and raise a knife to kill him, then spared the beloved son and took a ram in his stead. Upon this rock, King Solomon, the wisest of men, built his great temple to house the ark of the covenant and offer sacrifices to God. Upon this rock a temple stood for a thousand years (with a 70 year hiatus of Babylonian exile) before it was destroyed by the Roman army. 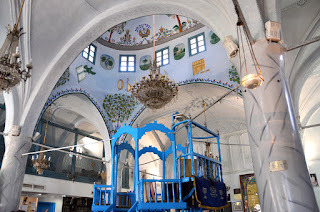 Ever since, Jews have been asking for its rebuilding in every daily prayer, in every after-meal blessing. The synogogues and praying Jews of the world face towards this rock as Muslims face towards Mecca. Arguably, historically, there are no Jewish holy places, just this one holy site, the Foundation Stone on the Temple Mount. And today it is a mosque. Muslims say this is the place the Quran refers to as the furthest or outermost mosque (Al-Aqsa) and that the Prophet Muhamad, peace be upon him, traveled to this rock on his night journey. Here he prayed with the prophets, and from here he made his ascent to heaven and met with God. For Muslims, Jerusalem is the first direction of prayer (Muhamad prayed towards here before he turned towards Mecca) and here is the third holiest site of the world, after the Ka'aba in Mecca and the prophet's house in Medina. 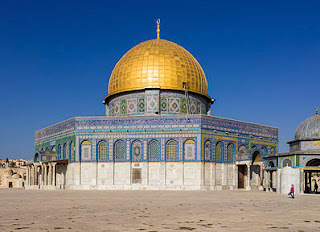 On that same rock stands the Dome of the Rock, an architectural marvel of symmetry and poise, a beautiful piece of Religious art that has happily and quite incredibly survived intact and fundamentally unchanged for over 1300 years. The dome is one of the earliest major Islamic buildings in the world, and has served as a Muslim shrine for some 1300 years (with an 88 year hiatus of Crusader occupation. It was, Dan Brown fans, headquarters for the Knights Templar). 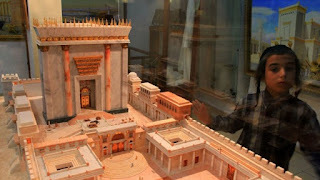 Jews, who pray for the rebuilding of the temple, traditionally consider that it must be built on this very spot, but also that they should not be doing anything to physically bring this about, rather that the rebuilding is to take place under a messiah king in some far off end times scenario. But there are some, and since Israel conquered the site in 1967 there are more and more of them, who consider that those days are upon us, and that it is upon them to do something to replace the Dome of the Rock with what seems to this writer the much cruder rectangular megalith of their temple. These people are known as the Temple Movement, and like fundamentalists in many other places, they are highly motivated and organized, and often much closer to the centers of political and military power than might seem at first and than seems at all safe. As has been shown time and time again, perceived threats to Aqsa are what gets the most Palestinians out on the street ready to confront Israeli rule. This was impressively demonstrated a year a go during Jewish high holidays, and appears to be starting again this year, in what we hope will not turn to widespread violence but very possibly might (this is written on September 17th, so far there have been stones and stun grenades thrown, beatings administered, people imprisoned, but still on a relatively small scale). The situation in Aqsa is strange on many levels- East jerusalem is under Israeli rule, surrounded by over forty miles of separation wall and fence to keep West Bank Palestinians out. The Israeli police is at the gates of the Haram restricting access, but also, quite remarkably, limiting it most of the times to Muslims only. That is, the Jewish state is keeping Jews out (most of the time) of and forbidding Jewish worship in Judaism's holiest site. It is like they have conquered the whole country but stopped short at its religious heart. 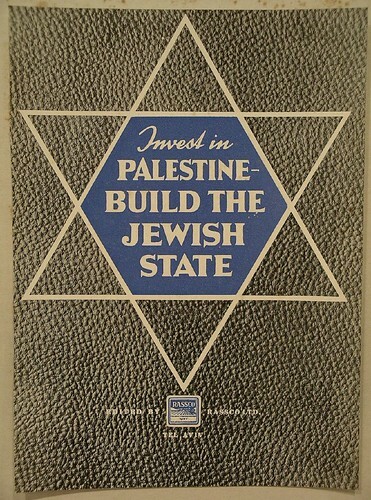 Interesting and worth exploring, certainly has something to do with the history of Zionism as an anti-religious movement constantly brandishing a Bible. But the strangest is perhaps this, that in the 21st Century, long after we have all apparently agreed the earth is spherical and a tiny spec in an outer arm of one of countless galaxies in an apparently infinite universe, a holy rock connecting earth to heaven sits in the center of our politics, and so many people, Jews and Muslims, seem willing to fight and die for said holy rock. Certainly, strangely, timelessly, they are willing to sacrifice their sons to appease the power that dwells there. Beautifully written, especially the last paragraph! So true!